This page started as a challenge to myself to do a neutrals only page. I'm a color person. 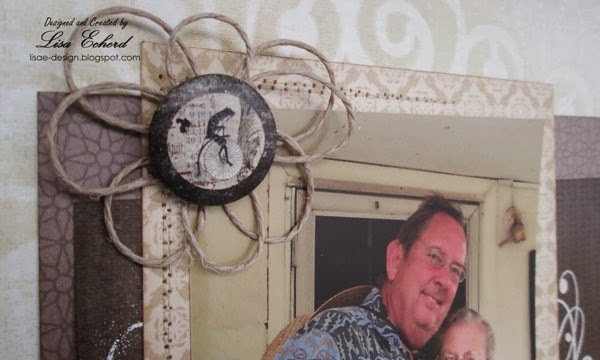 When I bought some vintage neutral flair from Prima, I was saying to myself "What were you thinking?" So I decided to use it on a layout and make it neutrals only. I was only into this for a short time last weekend when I figured out it would need more than the neutral paper and flair I'd picked out. This page was going to need some umph in the form of texture. So it works for another challenge, too - a texture challenge. Texture and neutrals really go together. I should know this. My mother wears a lot of neutrals. In fact, just after I finished this page, she showed up here wearing a textured beige and gold jacket with little gold threads woven in. Her sleeves were peeking out from a black and white chevron sweater with gold buttons. Layers and texture is what neutral dressing is all about and apparently neutral scrapbook pages, too. The trim here adds a bit of texture also. 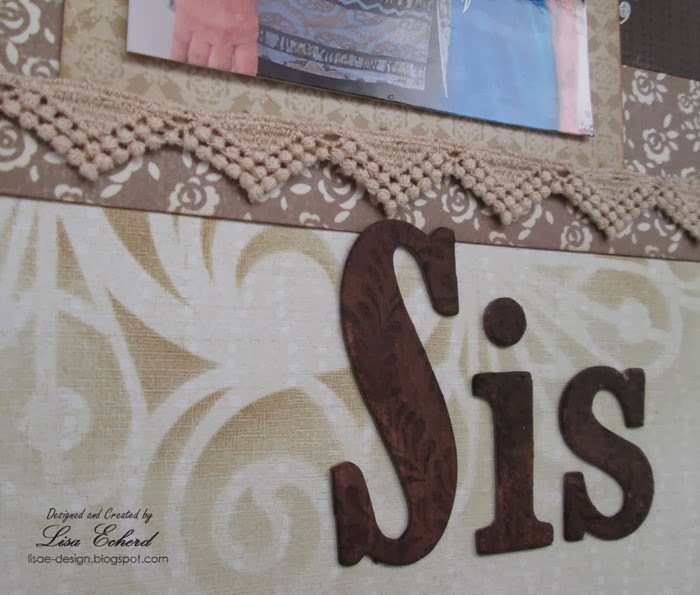 "Sis" is what my husband calls his sister. I've left room in the pocket for him to do some handwritten journaling about her. The photo is from a visit last summer. 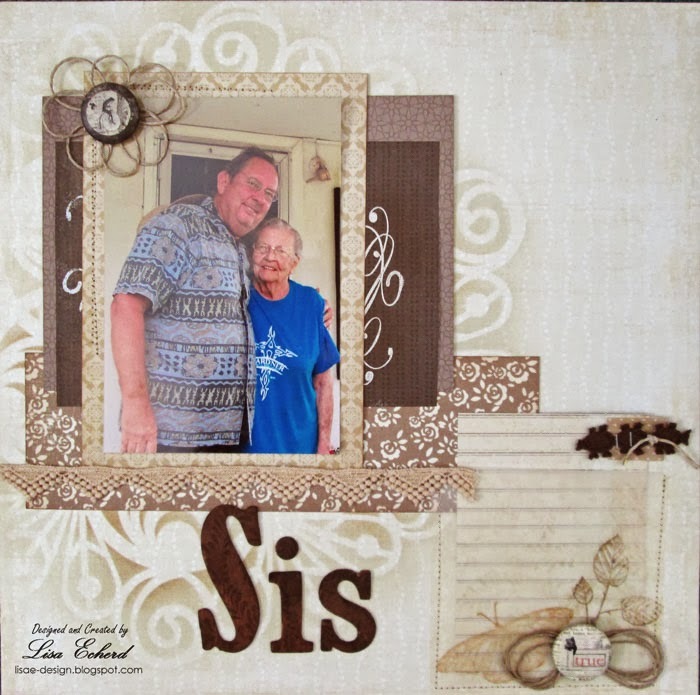 In the video, I quickly add the stenciled background which gets its color from some distress inks. I was quick and easy. The finished background is here on the right. Sponging on the ink gave me lots of control and kept the paper from curling as it might with mists. I used some stitching for the pocket and around one of the paper layers. I also did some embossing. Does anyone know of a beige or ivory embossing powder? White is often not quite right. There is some stamping on the vellum journaling pocket. I added some twine behind the pieces of flair. I chose the frog riding a tricyle for some whimsy and to commemorate my sister-in-law's diverse collection of pets over the years. I don't think she has ever actually had a pet frog but she has had guineas, peacocks, Dalmatians, geese (that I threatened to turn into Thanksgiving dinner - Geese are mean! ), oodles of other cats and dogs. So that's my page for today. Thanks for stopping by! The last of the 1 Sketch 4 Ways series will be up later in the week. This is a beautiful LO. You're right the neutrals look much better when you add texture. 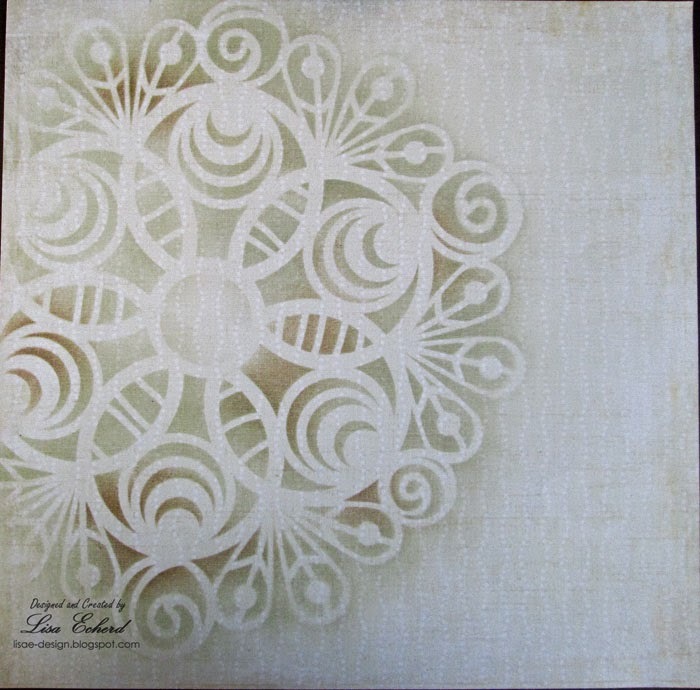 It seems like Tim Holtz said something about neutral colors in his embossing powders at CHA this year. Also a quick search at Joann Fabric turned up some ivory colored powder by Stampendous. I hope you find some because I can't wait to see what you do with it! Beautiful page! I love the stencil work and how the blue in your photo pops on the neutrals. I think Recollections at Michaels has some neutral powders. If nothing else they have a beautiful pearl powder that doesn't dry bright white. Great job!! I can't stop looking at this fabulous page, Lisa! You rocked the neutrals! 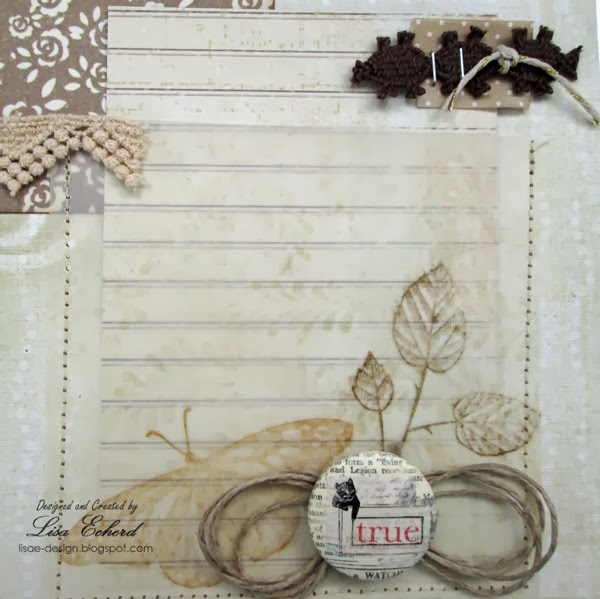 Love the stenciled background and little clusters around the page! This is lovely! I really like the way her blue shirt pops and takes my eye right to the photo. Lovely page. What is the mask? I love the look.